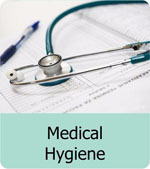 Haylide Chemicals founded in 1992 with photographic Chemicals, Diversified into Hygiene Products in 2005. The Cofounders of Haylide founded Bromide Chemicals in 1979 having a long standing history of Chemicals Business. 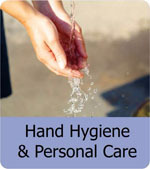 Haylide Chemicals Manufactures a complete range of Hygiene Chemicals for Housekeeping & Infection Control & Hand Hygiene, Laundry, F&B Kitchen & Pharma, Medical & Industrial Hygiene. With over 40 Years of Experience in Chemicals as a 1st Generation Technopreneur, He Cofounded Bromide Chemicals in 1979 with his previous experience of Work in the Printing & photography industry from Companies such as Dupont, Kodak etc. 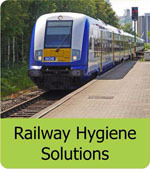 He is a technical expert in his field & also heralded the Research & Development of Haylide's Hygiene Chemicals division back in 2005. With over 40 Years of Experience in Chemicals as a 1st Generation Women Entrepreneur cofounding Bromide Chemicals. She is an expert in bringing solutions to customers with her expertise in Sales & Marketing. She is also the face of the organization & her NGO MAWE at various National & International Forums, having represented at top world conferences, Archana brings Dynamic customer oriented dileverables to Haylide's vast range of products. The 2nd Generation Technopreneur, Nitin is a Chemical Engineer who helped start the Hygiene Division of Haylide in 2005 after his stint in Production R&D Sales in Shaw Wallace. 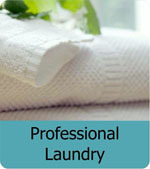 He is the Key person developing a complete range of Indegenious Green Products of International Standards. 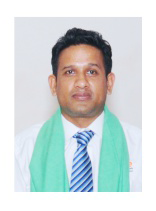 He is also a Technical speaker at various National & International Summits on Environmental Issues & Cleaning Technology. Leading Innovation in Various fields of Hygiene such as Multi purpose Products that Save Manpower Training, Time, Effort, Energy & Water. 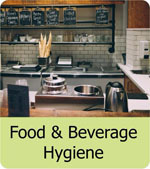 With one of a kind products for Washroom Cleaning, Laundry Chemicals & F&B Hygiene. Haylide is the frontrunner of Transparency in Cleaning Chemicals with self declaration of ingredient classes including non hazardous ingredients in its MSDS. Haylide publishes an Eco Dossier with further detailed informatioin on its Sustainable green products. Safety & Sustainibility is a priority at Haylide is evident from it being the first Indian Company in the Cleaning Chemicals space to be awarded the GreenPro Certification for 6 of its products in various categories. The main aim of Cleaning is to Clean effectively such that the Cleaned Space Looks Clean, is free from Infections & Germs & Smell Fresh. 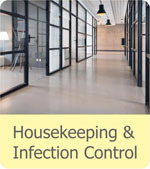 Haylide has developed its products in such a way that all 3 criteria are addressed when cleaning is done & this too with the best possible resutlt at the given price point for the product. 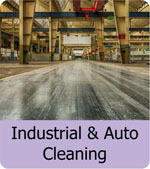 This ensures that with all other Factors, Cleaning Performance remains top notch. Delivering Eco Friendly & Safe High Performance Innovative Cleaning producs should make a Commercially attractive proposition for its Customers. Hence the motto Green CLeaning for all. We at Haylide have kept both Direct Costs low with honest margins an Products but also control indirect costs through Manpower effort, Water Energy & even lessened Chemical Consumption to deliver significant economic advantage to the customer. 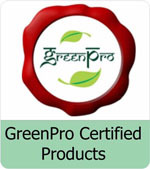 GreenPro, ISO 9001:2004, FDA & GMP Certified State-of-the-Art Manufacturing Facilities With Least Machinery & Labs. The Group is Driven by innovation since 1959. The R&D is headed by the promoters with over 40 years International Experience in Chemicals.